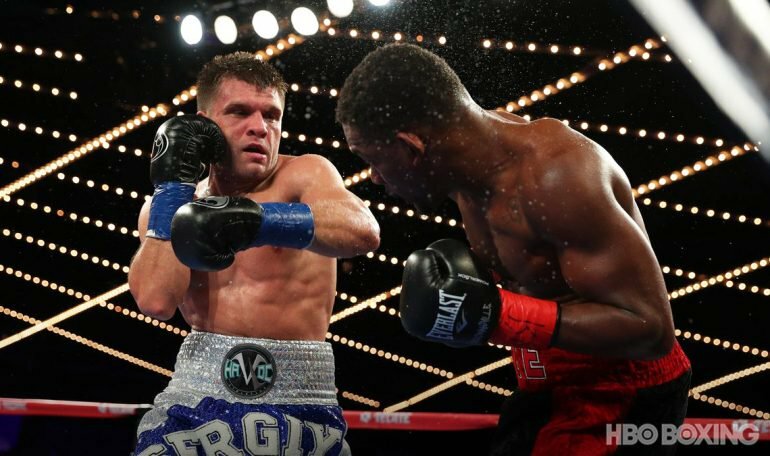 Former middleweight title challenger Sergiy Derevyanchenko 12-1 (10) will square off with Jack Culcay 25-3 (13) for the IBF number one position at the Minneapolis Armory in Minneapolis, Minnesota on Saturday night. The 33-year-old Brooklyn-based Ukrainian is coming off a split decision loss to current IBF boss Daniel Jacobs last October. “Jack Culcay is a good fighter,” Dereyanchenko said to RingTV.com via a translator. “[He is] experienced and he was a [WBA regular junior middleweight] world champion. This is a worthy opponent and I think the fight will be exciting. The 33-year-old Culcay is a well-travelled and experienced campaigner. Back-to-back decision losses to Demetrius Andrade and Maciej Sulecki at 154-pounds in 2017 precipitated his move up the middleweight division where he has now logged three victories. For the second fight in a row Derevyanchenko will be without his regular trainer Andre Rozier, who is in camp with stablemate Jacobs for his upcoming fight against Mexican superstar Saul ‘Canelo’ Alvarez next month.